Those who know me well know that I’m not very good at heights. I do them, but under sufferance. 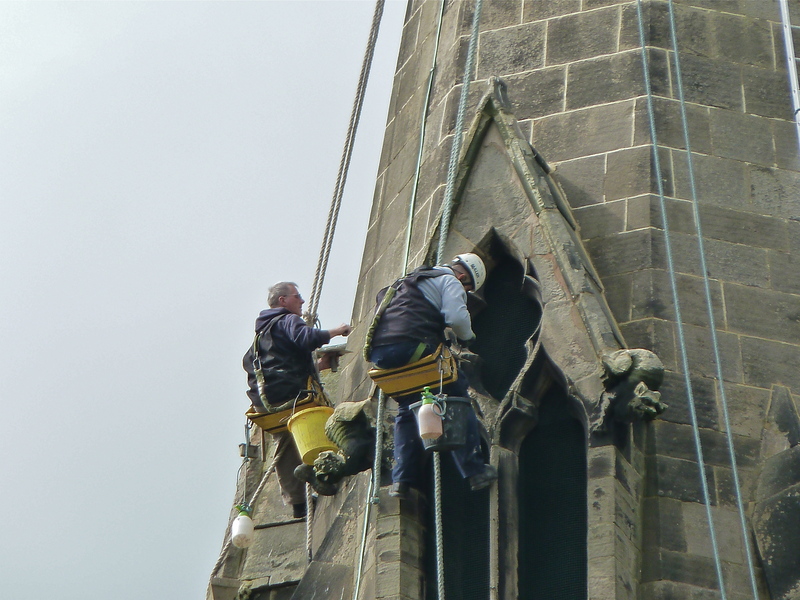 I therefore have immense respect for those who work well above ground level, like these steeplejacks I spotted working industriously on the gorgeous Dunstall Church yesterday. There’s just something about their relaxed demeanour that inspires great admiration. Restoration period. Check the scaffold atop the spire! Dunstall Church, near Tatenhill, Staffordshire. 3:59pm, Tuesday, 25th May 2010. Not for a big, gold clock. Respect to these guys. 4:02pm, Tuesday, 25th May 2010. 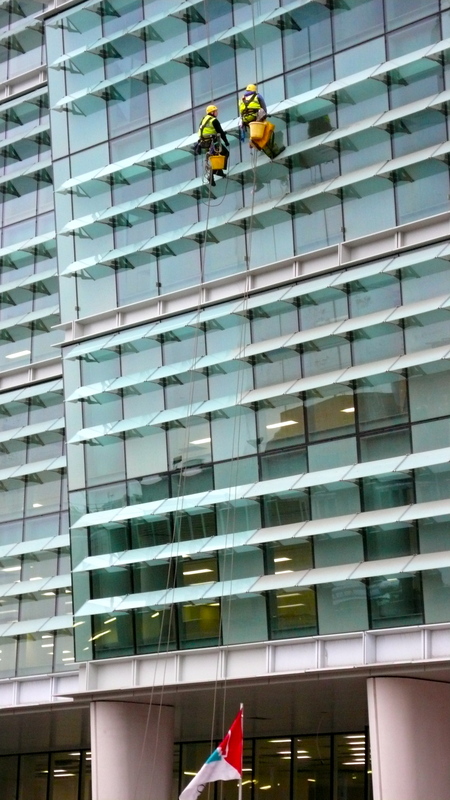 I often notice the window cleaners in Birmingham city centre, who these days dispense with ladders and cradles and almost exclusively abseil to their workspace. It’s amazing how many folk never notice them; they never, ever seem to look upwards. Walking on glass, Colmore Gate, Birmingham. 4:49pm, Tuesday, 3rd March 2009. 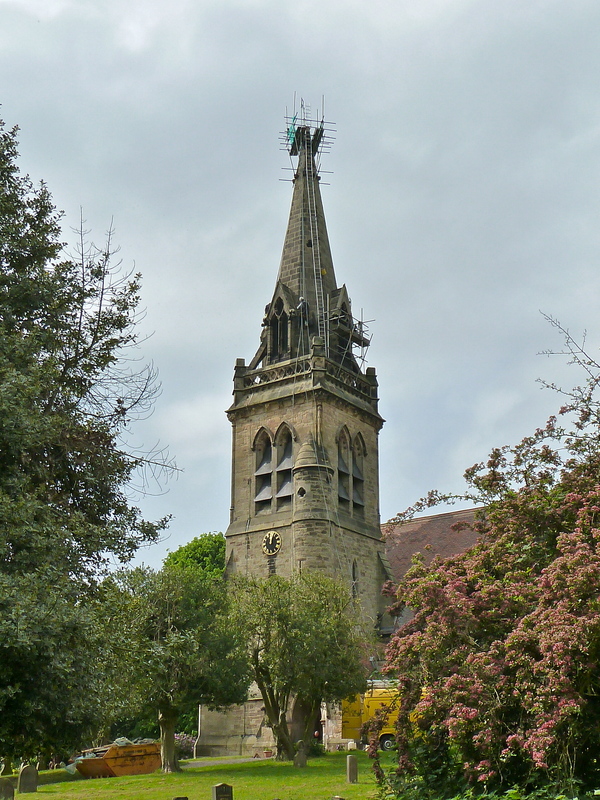 This entry was posted in Churches, cycling, Environment, Fun stuff to see and do, Interesting photos, Panoramio photo discussions, Shared media, Uncategorized and tagged Abseil, Bosuns chair, Church restoration, Colmore Gate, Cycle rides, Dunstall, Dunstall Church, New Photos, Steeplejack, Window cleaner. Bookmark the permalink. I agree, it makes me feel uneasy just looking at them and when taking a photo.